According to Kirisia’s profile on JuniorEuroVision TV, Kirsia Todarova started studying music when she was six years old and is currently studying music at the “Centre for work with Children”. 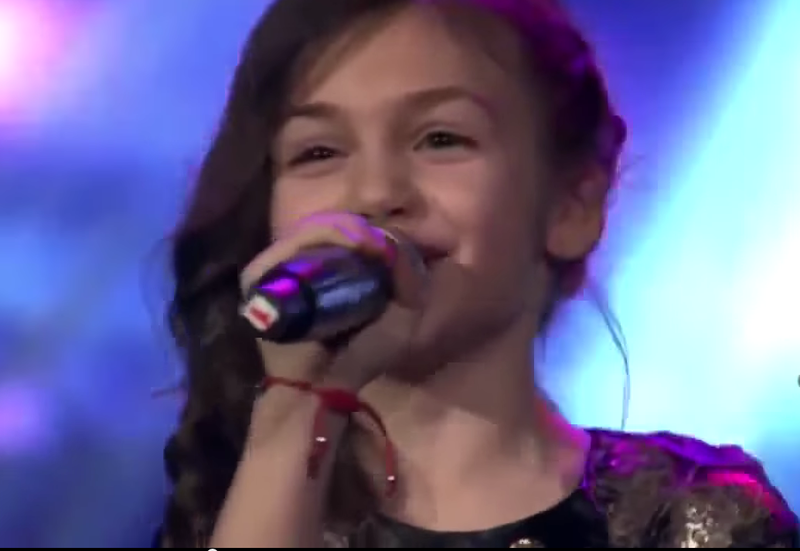 In November 2014 Krisia represented Bulgaria at Junior Eurovision Song Contest 2014 in Malta with her song Planet of the Children. She finished in second place with a total of 147 points, just twelve points behind winner – Italy. Krisia was subsequently received by president Rosen Plevneliev and was given an honorary distinction. North America sit up & take notice!!!!! Absolutely brilliant! I’m a cowboy from Oklahoma and I love her. I am dying to find out the name and lyrics of the other song she sang on her audition on the Slavi show. It sounds like it’s sung in her native language, but it is near impossible for me to find out anything about it. Hello Kari-Lyn Bjorn. Krisia sings two songs after Beyonce in her audition. Which one do you want to know? I wish I knew how to answer that. Like I said it sounds like she’s singing in her native language which I do not understand so I can’t even tell you the lyrics. I just find it so beautiful! If I remember correctly, during the time that she’s singing it the host of the show actually walks up and she’s looking at her while she’s singing it . Does that sound familiar? Both of the songs that she sings are in Bulgarian which is her native language, yes. I’m Bulgarian too. Maybe the song that you are looking for is the second one. The official video of this song in youtube is called “ЛИЛИ ИВАНОВА: ЗА ТЕБЕ БЯХ / LILI IVANOVA: I WAS FOR YOU (OFFICIAL VIDEO)”. Tell me please if this is the song you want to know. Yes!! That is the one! There is something about the melody that just grabbed me and I just love it. I find myself trying to hum it but I do not know it well enough. Thanks for your help! !